Slender: The Arrival customers recently received an email teasing new content for a future Steam release. Slender Man made a big splash in the survival horror scene recently, both with the original freeware game and the polished remake. The final game was even re-released on GOG.com, which made its absence from Steam all the more notable. After all, why wouldn't a creature who could appear anywhere not be featured on gaming's biggest digital distributor? This is an oversight Blue Isle Studios seems prepared to correct. According to a teaser email sent to customers who purchased the game via Blue Isle Studios, Slender: The Arrival will be re-released yet again this Halloween with new, unrevealed content. The email itself consists of nothing more than the above info and image, but Blue Isle Studios posted in their forums that an official press release is forthcoming. Until then, we're free to speculate about what is meant by "new content". New levels? Steam achievements? Another eight pages? 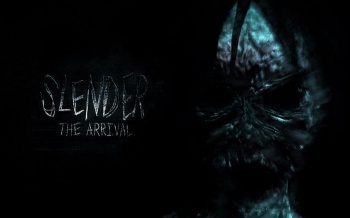 Regardless, fans who thought Slender: The Arrival was far too short should stay tuned for more details.